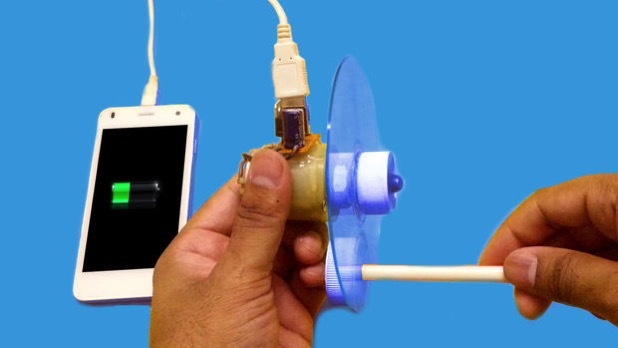 How to Make a Hand Powered USB Charger « Adafruit Industries – Makers, hackers, artists, designers and engineers! We all know that when the electrical power is supplied to a motor, it rotates mechanically but when the shaft is rotated mechanically, the motor generates electrical power. So, in this Instructable, we will work on a small project that will utilise this above said principle on a geared DC motor to work as a electricity generator for making a hand powered 5v USB Charger for mobile phones. This device can also be used as a 5v DC power supply for various projects.